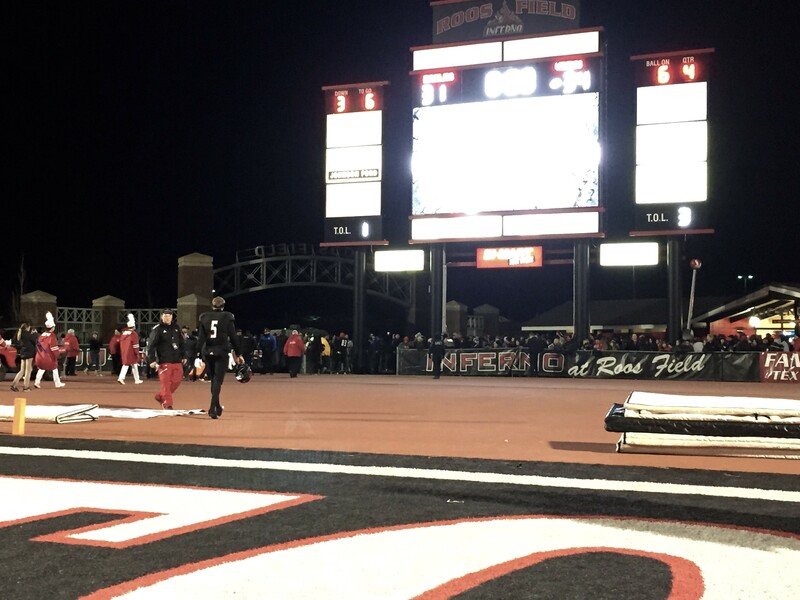 Redshirt junior QB Jordan West exits Roos Field for the last time in 2015. West did not play on Saturday. 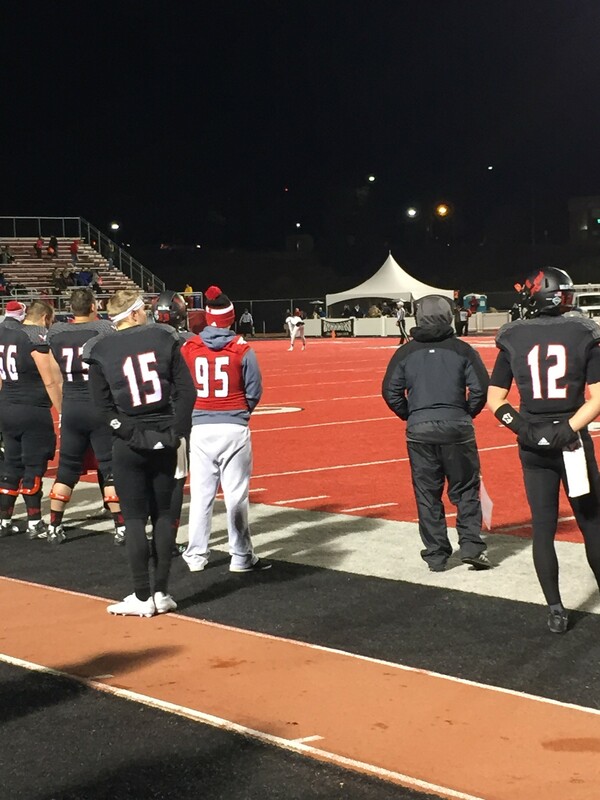 It was a bad start to a bad day for the Eastern Washington Eagles, as their season most likely came to an end Saturday in Cheney with a 34-31 loss to the Portland State Vikings. The loss, the third consecutive for an EWU team that's struggled as of late, is quite likely to keep the Eagles out of the FCS tournament. That would mark the first time since 2011 that the Eags have stayed home the playoffs. Still licking their wounds from last weekend's devastating 57-16 loss to Montana, things didn't look good for Beau Baldwin's Eagles after redshirt freshman Simba Webster muffed the opening kick, immediately surrendering possession to the Vikings. That was certainly not the start EWU was looking for in a must-win game, and Portland State quickly found the end zone to go up 6-0 after a missed PAT. While the Eagles have certainly had their struggles this season, one thing they have done well is fight to stay in games until the final play, and they did just that on Saturday night. Redshirt junior WR Cooper Kupp elevates after catching a 78 yard touchdown pass in the second quarter, his 56th career touchdown reception. Fueled by a 63-yard touchdown run from junior receiver Kendrick Bourne on a reverse pitch, and a 78-yard touchdown reception from FCS insta-legend and redshirt junior receiver Cooper Kupp, the Eagles took a 17-13 lead to the locker room at half time. 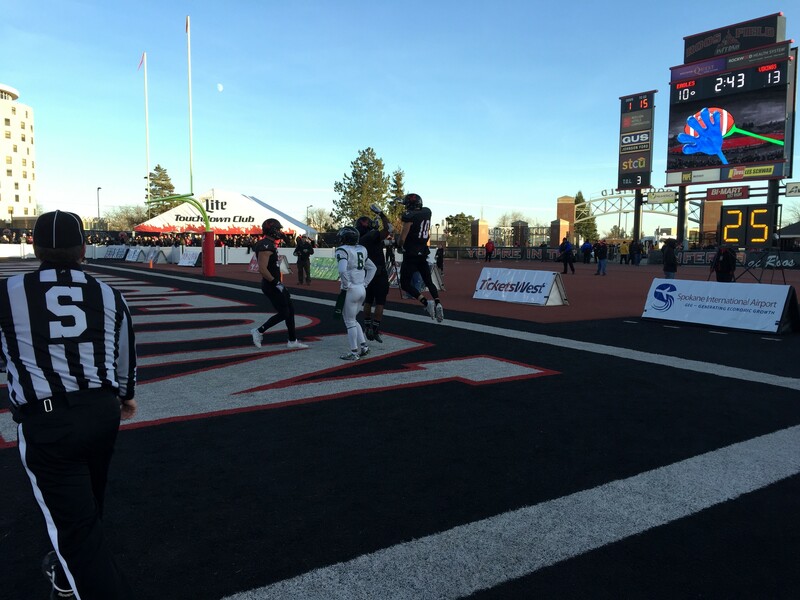 In addition to the touchdown catch, Kupp hauled in eight receptions for 136 yards. Number 10 is now fourth all-time in the FCS with 310 receptions and sits only two touchdowns behind David Ball's FCS record of 58 career touchdown receptions. Despite the absurd compilation of receptions, yards and touchdowns amassed by Kupp during his career at Eastern, he remains humble. Following the game, it wasn't the touchdowns or the 200 yard games that was on the Yakima native's mind, but the memories he has made with his senior teammates. "On senior night, being able to have the opportunity to play with these guys and do what we did, it's been an honor," said Kupp. Although Kupp was the offensive centerpiece for Baldwin's Eagles in 2015, the efforts of Kendrick Bourne cannot be overlooked. Dwarfed by Kupp's numbers, Bourne quietly had a fantastic season, catching 73 passes for 998 yards and 8 touchdowns. The Portland, Ore., product also ran the ball twice for 75 yards and a touchdown. Leading 20-17 early in the second half after a quick seven-play, 79 yard scoring drive, Portland State faced a third and 25 after a couple of untimely penalties, giving the Eagles — and their season — a window of hope. That hope was quickly crushed, as junior quarterback Alex Kuresa completed a pass down the middle of the field for a first down. One could basically feel the wind blow out of the sails of the Eagles' defense. The future of Eastern's offense will likely land in the hands of one of the Eagles' two redshirt freshman QBs, Gage Gubrud (15) and Reilly Hennessey (12). to convert on third down. In the four games leading up to Portland State, the EWU defense allowed opposing offenses to gain a first down on 52 percent of their third down attempts, a horrific number. The only thing preventing this game from becoming a blowout was the turnovers surrendered by Portland State throughout the game. At the end of the second half, as the Vikings drove deep into Eastern territory, Kuresa's pass was deflected at the line and intercepted by redshirt freshman defensive back Josh Lewis, keeping at least three points off the board. Then, with the Eagles' chances of victory looking slim-to-none following a fantastic touchdown catch by Portland State junior receiver Darnell Adams, the EWU defense made one last stab at glory. Finishing off a strong, yet injury-filled career at Eastern, redshirt senior defensive back Todd Raynes will now begin focusing on his goal of becoming a Navy SEAL. But not before getting in the end zone for the third time in his career. With 5:48 left in the game and his team down 34-24 on senior night, Raynes saw the whole thing as sophomore defensive lineman Jay-Tee Tiuli forced the football onto the red turf. Raynes closed on the exposed football, corralled it up and sprinted for the end zone with some blocking help from fellow defensive back, redshirt junior Zach Bruce. "It was indescribable. I mean, senior night against Portland State, in front of my whole family, in front of all these fans who have been here for me the last five years," shared Raynes. "In a close game like this, like I said, it was indescribable." As the Eagles head in to the off-season, Baldwin plans to spend a lot of time focusing on the details that are vital in finishing off victories. "We just have to be more on point, I think that's the biggest thing," said Baldwin. "That starts with me, and that starts with what we do in the off-season, and that starts with all the little things and discipline. And we are going to get there." As Baldwin and his coaching staff begin preparing for the 2016 season, there are a lot of questions that need to be answered, the most significant of which is at the quarterback position. After establishing himself as one of the best quarterbacks in the FCS in the first half of 2015, redshirt junior quarterback Jordan West saw his playing time surrendered to a pair of redshirt freshman in the second half of the season, beginning with Eastern's 52-30 home loss to Northern Arizona. West did not play a single snap against Portland State, as redshirt freshman Reilly Hennessey threw all 27 of Eastern's passes. After a disappointing season for a usually successful Eastern Washington football program, Beau Baldwin will have his work cut out for him to produce a championship caliber team in 2016. Ranked as high as fourth in the nation on November 7, the Eagles have to be wondering what exactly happened. The good news is, with their season ending earlier than planned, they will have plenty of time to think.